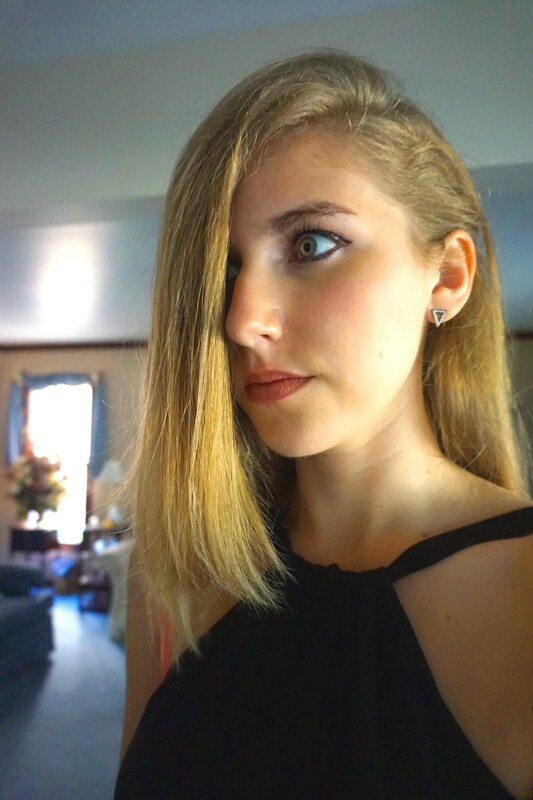 So I am an earring offender. I buy a favorite pair of earrings from a generic cheap store and wear those earrings continuously for a year until I get bored of them. The problem with this is, I never take them out. I will clean around them, but I sleep and shower in my earrings. Earring care like for some of you may be a pamphlet you received when you got your ears pierced at the age of seven. Lately I have been searching for a more expensive pair of earrings that I can wear through all my daily shenanigans. The main tips I have found are not to buy sterling silver and to go for 24 karat gold from lavalier.com. Of course you will not find earrings made of 24 karat gold on the market easily. Usually you will find a 10K, 14K, or 18K pair of earrings. With 10K earrings you are likely to be purchasing an earring that is made of 41.7% gold, for 14K it is usually 58.5% gold, and with 18K you are looking at an earring that is made of at least 75% gold. These facts are pulled from the following empire loan article. Gold will definitely have less water damage, but any damage that is physical to gold at a higher karat level will result in more damage. So for your day to day wear gold is the right choice, but perhaps a 14K set would be your best bet to make sure water and physical damages have a lower risk of occuring. If you are going to be on the silver band wagon it is less likely they can go through a shower and not become tarnished. It is suggested that you will need to take more safe care of your cheaper earrings because they are more prone to damage. You will need to take them out and soak them them during your showers and physical activities. So in my head when I weigh these two options, it is clear that I am now in search for 14 karat gold earrings instead of my miscellaneously composed $5 earrings . Down below I have found a few of my favorite, but not crazy expensive quality earrings, I am lusting for. The twitter sphere went wild. 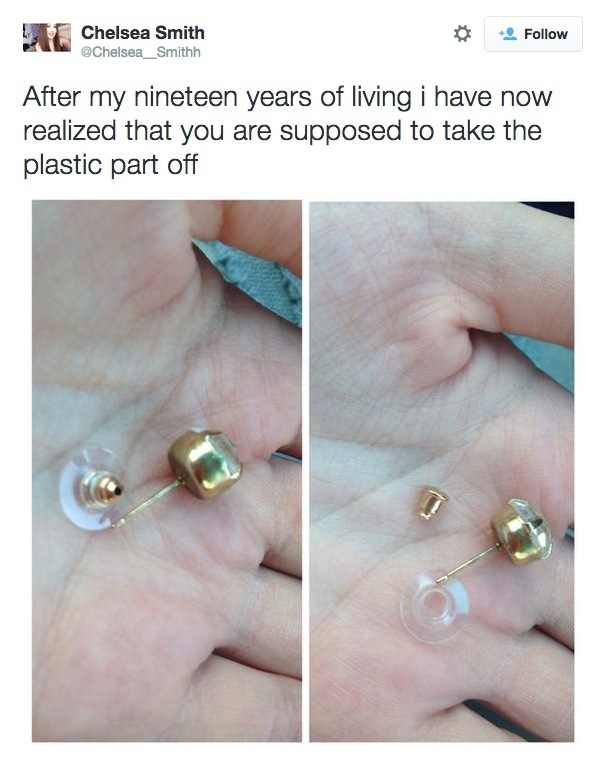 Was it true that most of us were living a lie, wearing the plastic backing on our earrings? Some individuals debated back that the plastic pieces are used for more stability, but the reality is the plastic backs are meant to be removed. Write your opinions down below in the comment box of whether you knew or not or if you even believe it.